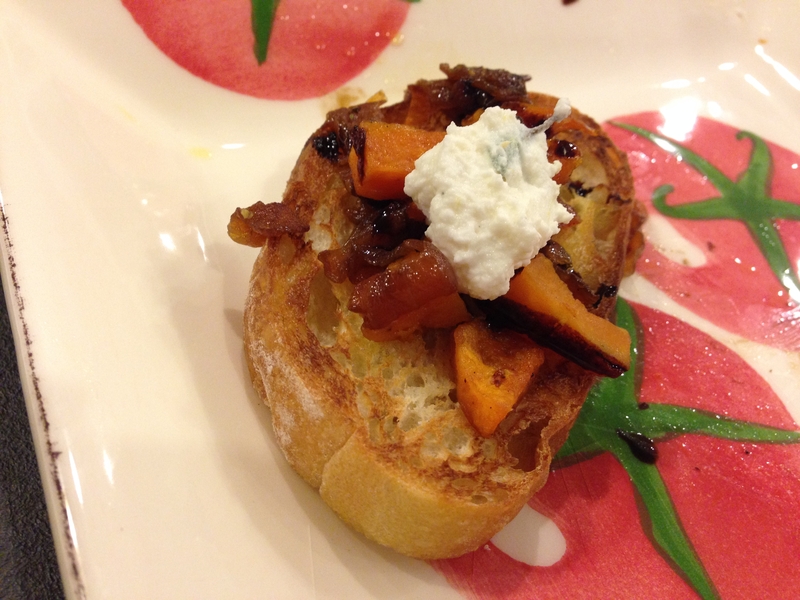 This is my special autumn appetizer and an unexpected twist on the classic bruschetta. Using the seasonal butternut squash, a trilogy of fresh herbs, and some light and bright ricotta, this will become a fall favorite of everyone. Dealing with fresh herbs doesn’t have to be a tedious process. Laying the sprigs right on vegetables that are intended for roasting will still impart their flavor. I paired the butternut with thyme and the onions with rosemary. Roasted squash and caramelized onions share the common property of sweetness and work really well together. You will never look at ricotta the same. We couldn’t stay out of this dip! Oregano and lemon zest made a phenomenal union. I hope this will inspire you to try other creative, gourmet combinations of bruschetta and if so, please share! Toss butternut squash in 1 tbsp olive oil and season with salt and pepper. Spread in a single layer on a cookie sheet and scatter thyme springs on top. You do not need to remove each tiny leaf. Bake for 30 minutes. While squash is baking, heat a pan with the 1/2 tbsp of olive oil and saute onions over medium heat until at least softened and browned. Caramelization recommended. Mix in fresh rosemary. 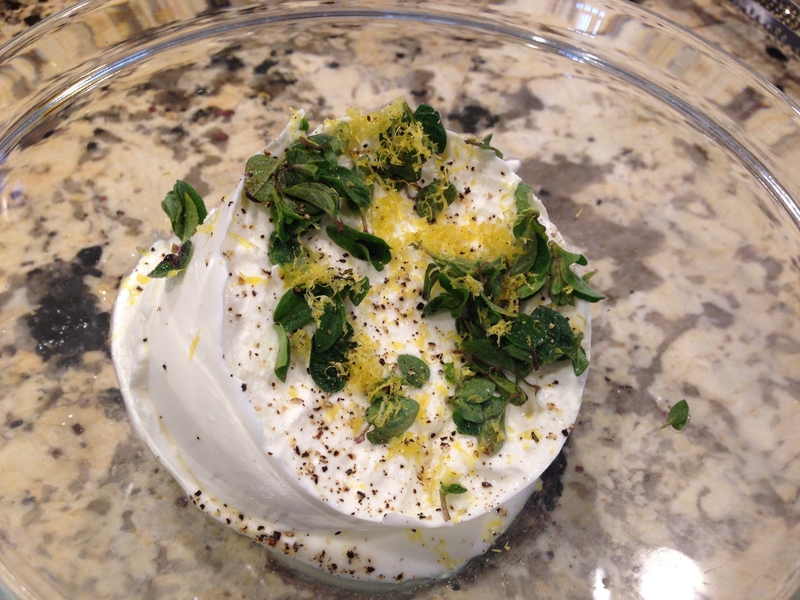 In a small bowl, mix together ricotta, lemon zest, oregano, and salt and pepper to taste. Once butternut is done, throw away thyme sprigs, remove squash from cookie sheet and place in a bowl. Mixed in onions. Lay oiled bread slices on the cookie sheet and broil on each side for 60-90 seconds watching constantly. Remove bread from oven and assemble each bruschetta. Serve alongside ricotta dip, putting a dollop on each toast. A drizzle of balsamic glaze really ties the sweetness together.